user warning: Table 'drupalgastronomer.comments' doesn't exist query: SELECT COUNT(*) FROM comments c WHERE c.nid = 127 AND c.status = 0 in /home/dgabriner/gourmetgastronomer.com/modules/comment/comment.module on line 992.
user warning: Table 'drupalgastronomer.comments' doesn't exist query: SELECT c.cid as cid, c.pid, c.nid, c.subject, c.comment, c.format, c.timestamp, c.name, c.mail, c.homepage, u.uid, u.name AS registered_name, u.signature, u.picture, u.data, c.thread, c.status FROM comments c INNER JOIN users u ON c.uid = u.uid WHERE c.nid = 127 AND c.status = 0 ORDER BY c.thread DESC LIMIT 0, 50 in /home/dgabriner/gourmetgastronomer.com/modules/comment/comment.module on line 992. 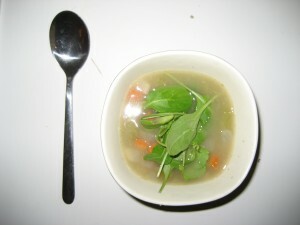 Though this is a soup, and there is a soup-off upcoming, the collision of the two are somewhat happenstance. This soup will not put up much of a fight against bigger, better, more thrilling and flavorful family members. The beauty of this lentil soup is that it requires little. There are days simplicity proves powerful enough to win one over. Today was one. It was beautiful out. In the forties I tell you. My face didn’t turn pink and I could bare my front teeth to the elements without getting that pain that implies I should pay the dentist I don’t yet have a visit, or shell out for Sensodyne. Last night was my first in my February abode. It was positively balmy. The heat in my studio, like that in many New York apartments, is controlled by some central system. Mine appears to be operated by a frigid old lady who misses the tropics. I had to turn the fan on the air conditioning unit on in order to finish cooking. I had, mind you, already opened the kitchen window. At any rate, today was a lazy Sunday. I started the day checking out grocers along Broadway, and much of the rest of the day meandering. I picked up some groceries for the week in the morning, and forgot to think through what I wanted to post. By the time I got home, I had no desire to do a second shopping trip, so this is the result. It’s a simple, classic lentil soup. I ended up using a bouillon cube and a bay leaf, but the latter and water certainly could have done the trick. Fresh herbs would have been even better (a bouquet garnie, or just strays), or bacon, or pancetta, or all of the above, but since they did not surface in the cupboard, they did not make it into the soup. I love lentil soup with lots of warm, Indian spices or one made with tiny black beluga lentils and cumin seeds, inspired by Molly at Orangette. And as much as I can think of ways I might have spiced up this version, its homey, homely simplicity has an appeal all its own. You could follow this recipe to a tee, but I recommend tweaking to accommodate what’s on hand. 1 cup lentils (soaked for a few hours, if you happen to think of it) 1 red onion 3 small or 1.5 large carrots 3 stalks celery 1 stalk fennel, or part of bulb, or none at all 1 bay leaf 6 or so cups water or low/no sodium chicken broth. Homemade is, as usual, best. 2 tbs olive oil 1 bouillon cube (optional if you use water). If not, add salt to taste. Fresh cracked pepper, to taste. Makes enough for four or six small bowls, with possibility of leftovers. Put a good-sized saucepan or small soup pot over low heat. Add the olive oil. Dice the onion and add to pot. 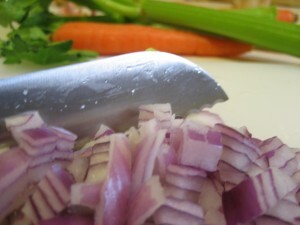 Let the onion sweat while you chop the carrot, fennel, and celery. Feel free to add to the pot as you go, to keep things clean and make up for the paltry counter space in your NY kitchen however, I tend to like a little textural variation in my soup, so I usually reserve some of the orange and green bits for about halfway through cooking. 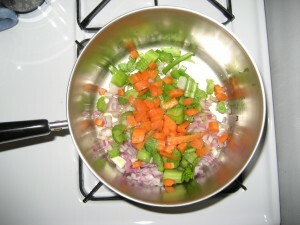 Stir the diced vegetables (mirepoix, to the French) until they soften a bit. No need to brown. Add the lentils, and enough water to cover by an inch to inch and a half. You can always add more. Add bay leaf and bouquet garnie (little bunch of herbs) if you have them. 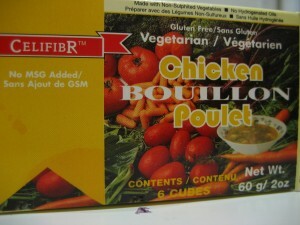 Do not add bouillon cube yet. Add pepper. (I chose this one for it's lack of MSG) and walk away again. Continue this process for, say, an hour, adding liquid if you think you should. Turn off when the lentils are soft to your liking. If they have been soaked, it will be quicker. If they haven’t, will be slower. Shocking, I know. When all is done, you may choose to take some of the soup and puree it. This is entirely to your taste, and I know some people who do not take kindly to puree. Do what you must. As is the case with most soups, this will be good, and likely better, tomorrow.